An adorable and easy city-building sim that rewards exploration. Don't miss this outstanding play experience! 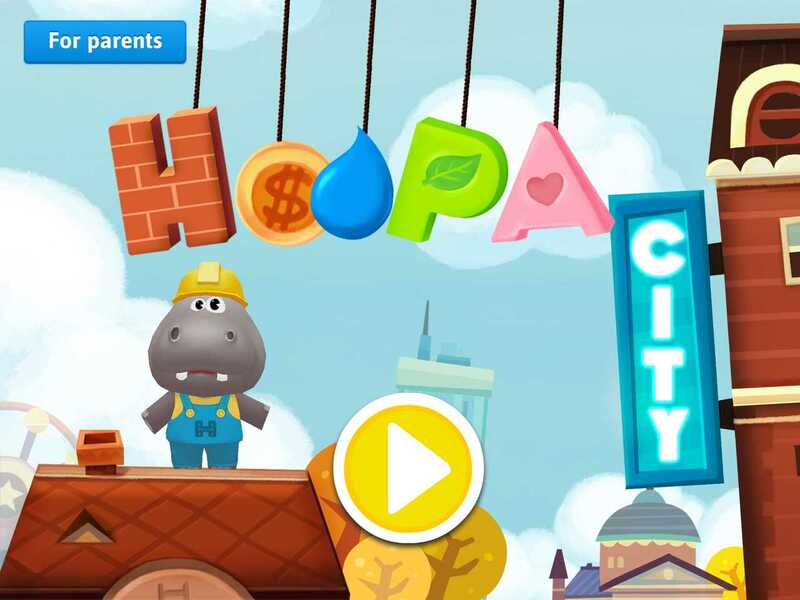 Starring Hoopa the Hippo, a construction-loving character who has appeared in all of the popular Dr. Panda apps, this city-building app opens to a green, gridded globe with just a few squares covered by a road. Hoopa appears and teaches you how to select one of the seven building elements dangling at the top of the screen and then shows you how to tap a square to change it. These elements include brick, water, electricity, roads, nature, money, and a do-good heart. 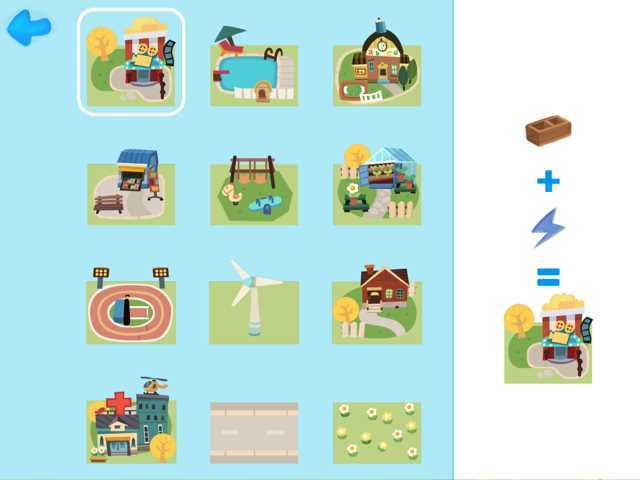 To discover the over 70 buildings, kids need to combine seven building elements in different ways. When kids tap on a square to build, an item erupts out of the ground. For example, if you tap on the dangling brick, a house will appear. Likewise, selecting the road icon, makes a street appear. If you select another element and retouch a transformed square, you may get something new to appear. If it is a brand new building -- one you have never before built -- confetti appears as the new building or structure comes out of the ground and that structure is unlocked in the Building Glossary & Guide (located inside of the Lightbulb icon). 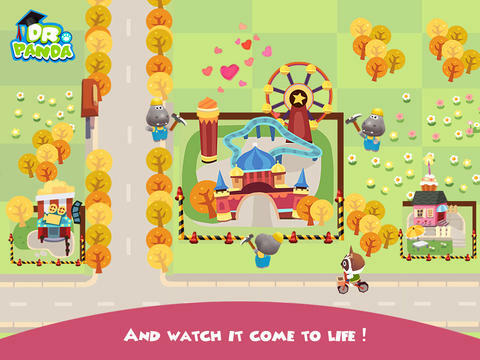 As you start to fill up the grid, the animal characters from the Dr. Panda apps appear and begin to explore and admire the city you have built. 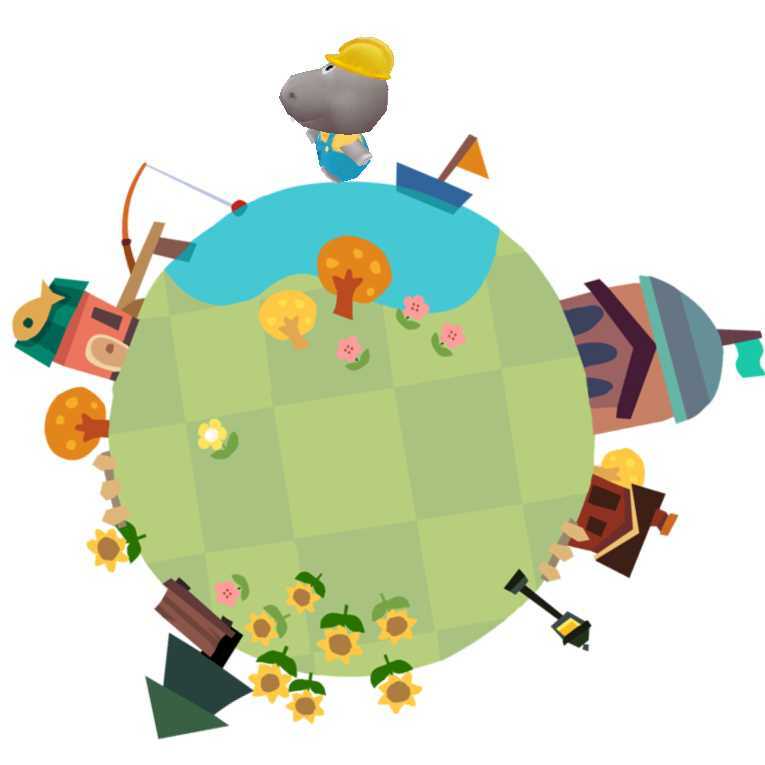 Targeting a young user (ages 5-8), this building game excels in encouraging discovery. By letting kids experiment with the seven building elements, they can turn a sweet little town into a sizzling city. The key is being clever in combining the elements. Let's say you have placed nature in a grid square so that it is showing a field of flowers. Then if you select electricity and tap the same square again, a soccer stadium shows up. 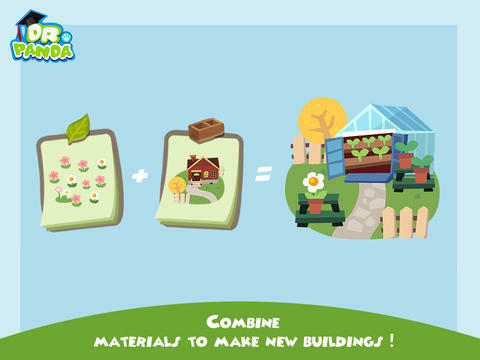 By opening up the Building Glossary & Guide, kids can see how to reproduce a structure they have already built. The ones they haven't yet discovered are seen as locked. This provides kids with an incentive to keep trying new combinations. By tapping in the right order, kids can create a lot of hoopla in Hoopa City. 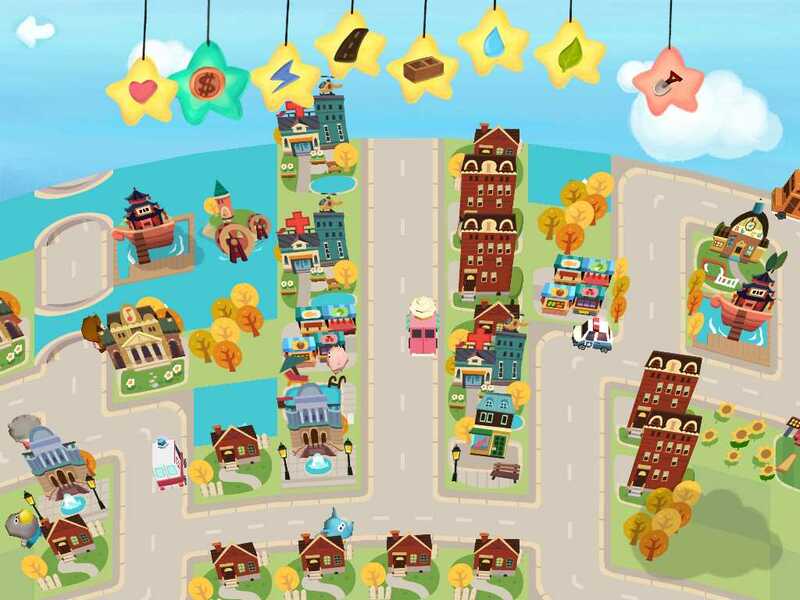 Since this app saves the cities kids construct, budding architects can try their hand at designing multiple cities. Fun! Hoopa City is a fascinating sim for young children to explore. It is particularly fun for fans of the Dr. Panda apps since the characters from those apps appear as citizens in the city you build. This updated app review of Hoopa City was written by Jinny Gudmundsen. The original review was published on August 14, 2014.